Are you fond of sweets? If so, I am sure you would have tried all varieties of sweets. But wait! 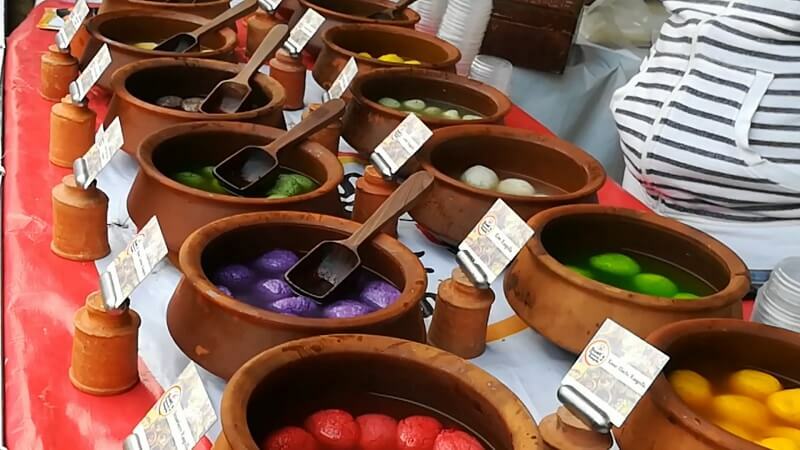 Did you know that there are 270 varieties in Rasgulla itself? Surprised! Aren’t you? 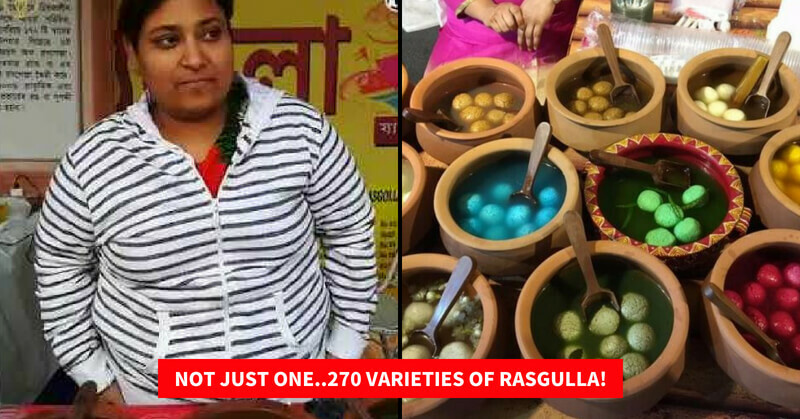 Swati Saraf from Kolkata has changed the way Rasgullas have been conceptualized since immemorial times. She offers more than 270 flavors of the same. If you have the zeal to earn money in a proper way then nothing can stop you. Everyone is gifted with a unique skill. Today youth are trying to get jobs related to their education. Unfortunately, in this competitive world, it’s not possible to get unless you possess exceptional talent in your degree. But wait, you need not get depressed for this. Just think what you can do without a degree. What is the skill you possess that doesn’t need any certificate? Write your skills and try to sharpen it with more knowledge. Swati Saraf is a true inspiration to those who lack motivation in life. The city-based entrepreneur has given a new spin to the traditional sweet and dishes. 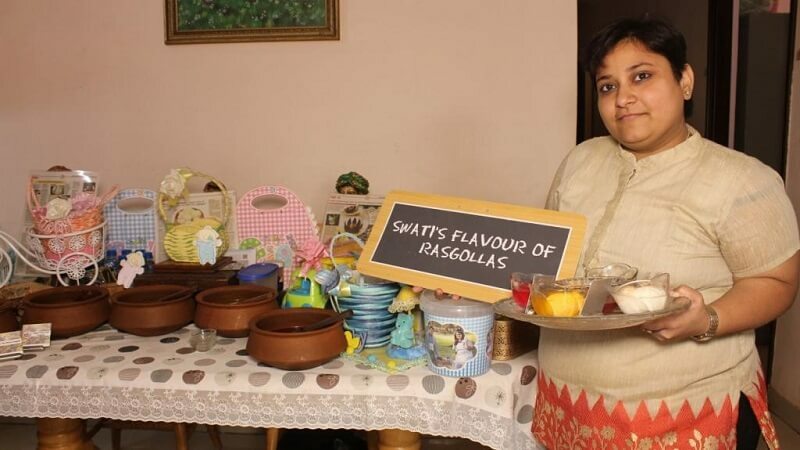 She specializes in Indian sweets that she operates under her brand ‘Swati’s Flavours Of Rasgolla’. Swati came up with insane, mindboggling and absurd flavors that are mouth-wateringly delicious. Kairi Rasgulla, Mangosteen, Cappucino flavored, Strawberry, Gundi Paan shot Rasgulla, Thai flavored, Green Apple, Red Guava, Elaichi Rasgulla, Barley lemon flavored and much more! Sounds crazy right? And she made all these from fresh and actual fruits. She also makes clove, cinnamon, tulsi, coriander, and capsicum and tomato Rasgullas. And for kids, she prepares bub blegum, Maggi-flavoured and chocolate Rasgullas. 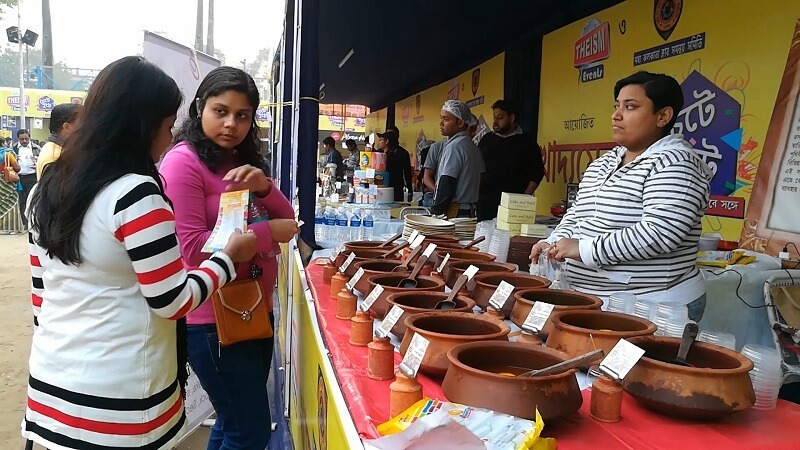 Apart from putting up stalls at food festivals, Swati also takes birthday party, wedding, baby shower, and other orders. 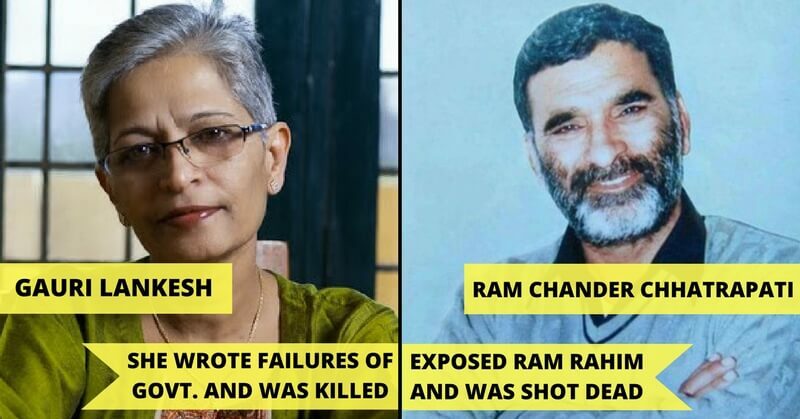 She has already supplied Rasgullas to 300 marriages and parties. “My mother has been my constant support and helping hand. And my six-year-old son, Radhesh, is my biggest critic. Whatever I prepare, I make my son taste first. Depending on whether he gives thumbs up or down, I go ahead with the flavour. Swati also has colourful boxes, fancy baskets, and cutesy decorated trays for gifting purpose, the prices of which depend on the number and types of rasgullas one takes. In the time of demonetization, where several big and small scale businesses were hit hard, Swati didn’t resort to online transaction methods. My customers pay mostly in cash and never insisted on online payments. If it’s a bulk order, then payment by cheque is always easier, “ Swati said. If you want to have a look at her shop, then visit Active Acres, Tangra, and Kolkata. The cost is 25 INR per piece (25pcs minimum order). You can find them online here. 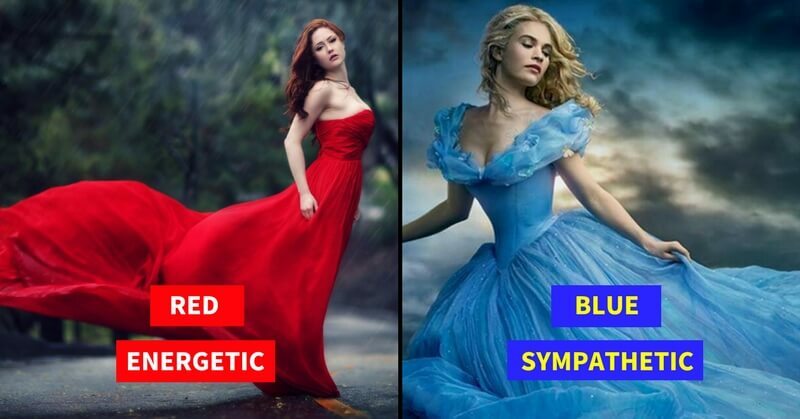 Ma’am, You have a great level of creativity. By the way, did you try any of these varieties? Share us in the comments. Wanna some more motivation to start a business? Then read here.